As the name implies, this is an anorak. 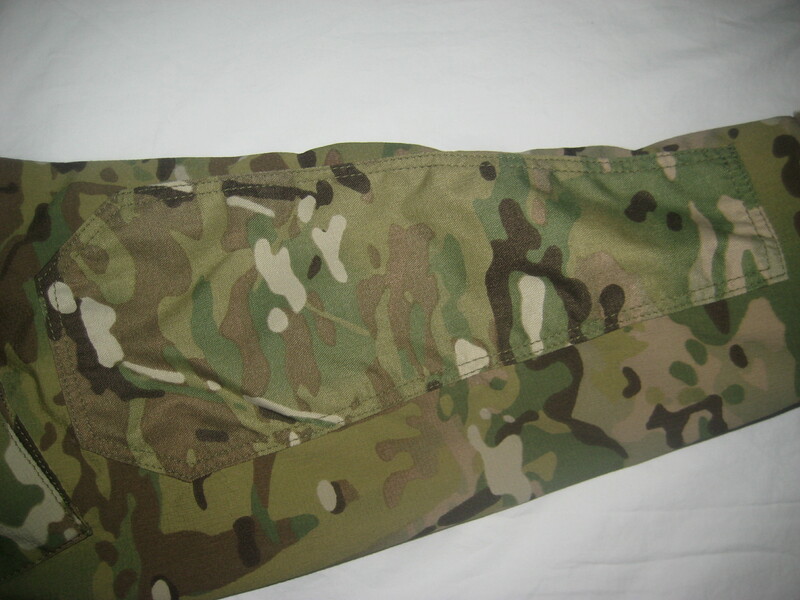 It’s designed to be a mid or outer layer for wear during cold conditions in static locations. This garment has been graciously supplied by SORD. The Light Field Anorak has had limited field testing due to real life getting in the way. The smock is made from a truly high-tech material. 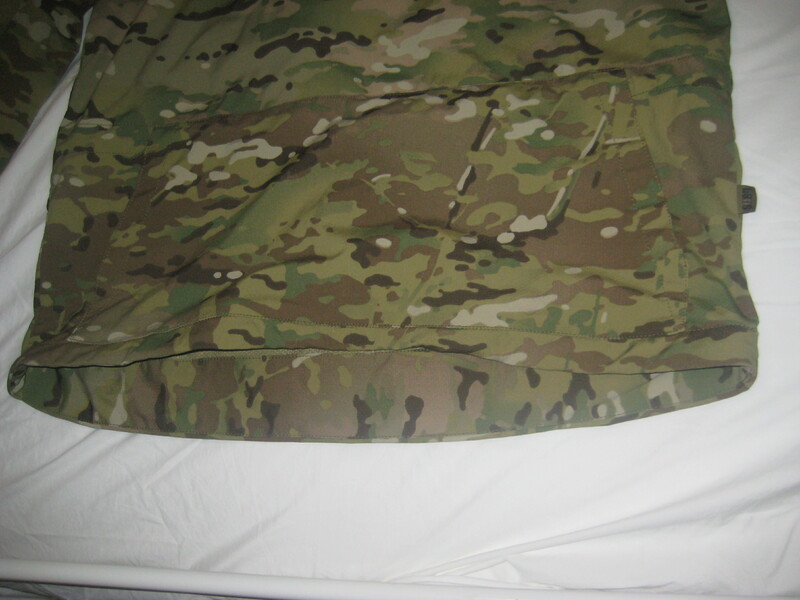 This is the same material as that used for the VERTX Multicam Smock I reviewed early last year (review can be found HERE). According to the manufacturer, this is material is 40 Denier nylon 2-way stretch laminated with a wicking/anti-microbial knit from Duro. Apparently it’s treated with Nanosphere which makes it a permanent, highly water resistant finish whilst being completely breathable. The cut is very generous for other layers to be worn underneath and allow unrestricted movement. 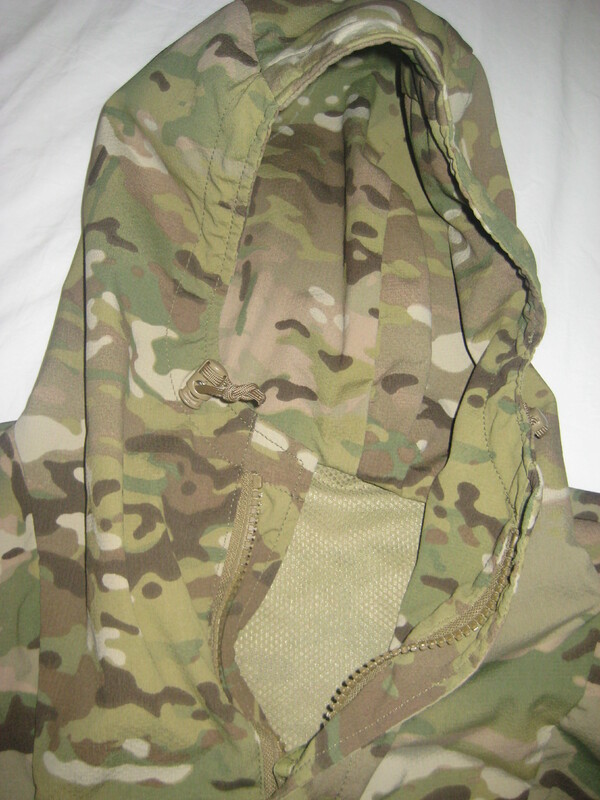 For analysis and comparative purposes, the Light Field Anorak that was provided by SORD was a Size Large. Being an anorak, the main body is of quite a simple cut to retain heat within the trunk, being of pull-over format. 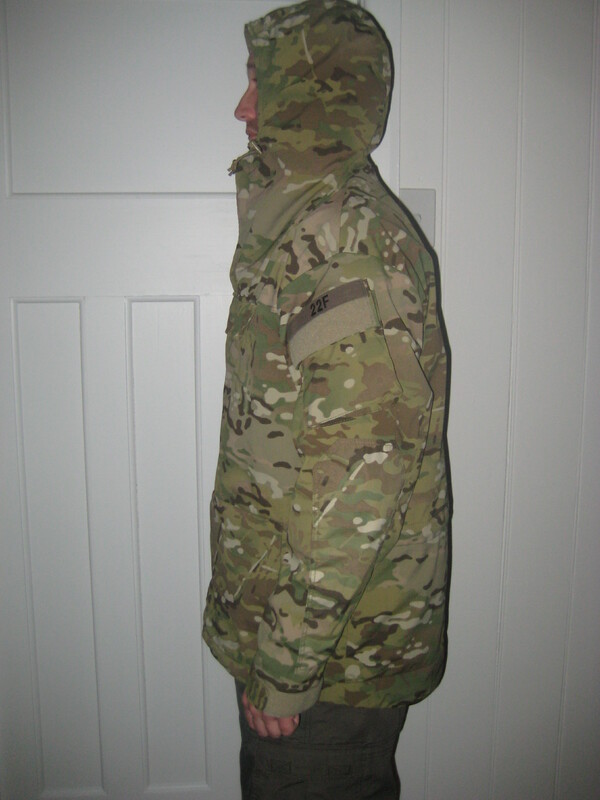 There is a zip from mid-chest up to the hood to allow the wearer to adjust for comfort or heat retention as needed. 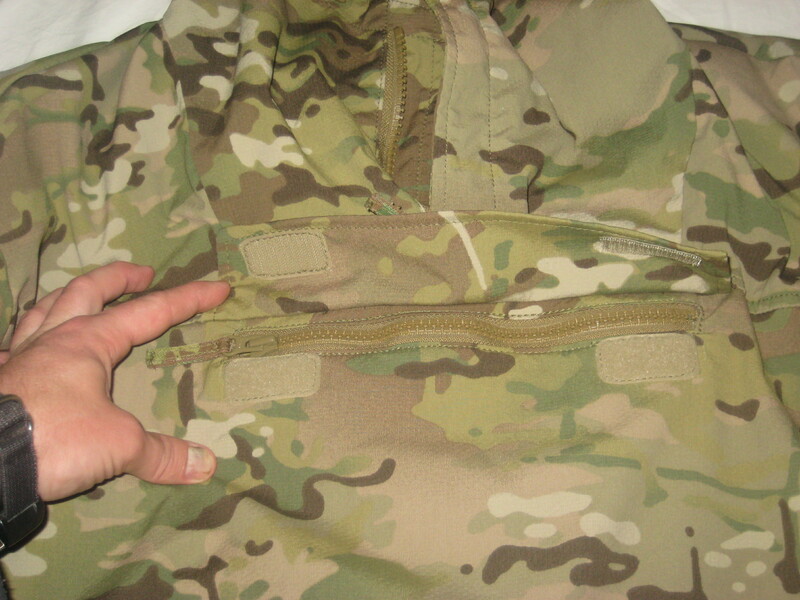 There is a storm flap, which has no form of security to both camouflage the zip, and reduce heat loss from it. A big, easily reached pull cord is fitted to the zip slider, allowing easy access when wearing gloves. The hem is alpine/skiing cut to reduce drafts across the back whilst moving or bent over. There are two draw-strings at waist and hem. The shock cord can drawn and flows quite easily, and are secured with cord locks. 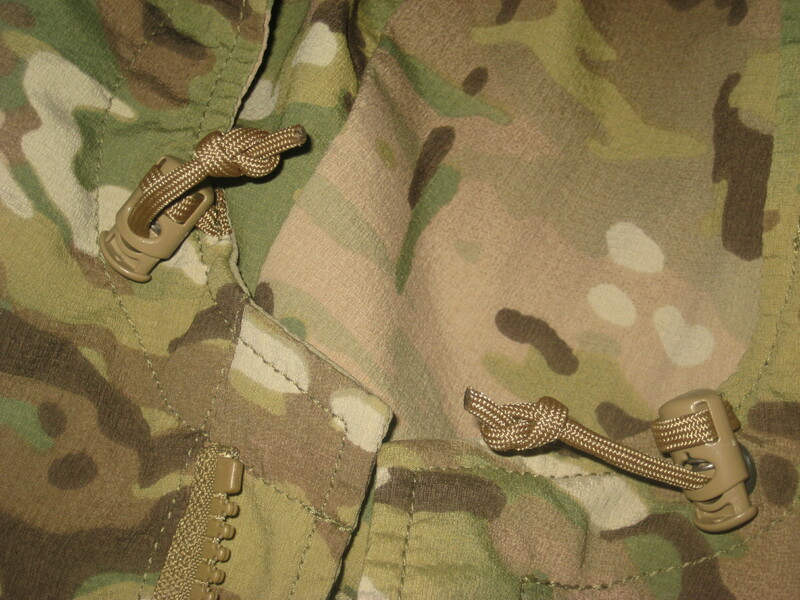 Both of these cord locks are accessed from within the hand warmer pocket on the front lower belly of the anorak, allowing the excess shock cord to be tied away without presenting a snag hazard. The hand warmer pocket is of sufficient size to allow hands and other everyday objects to be stowed within comfortably. 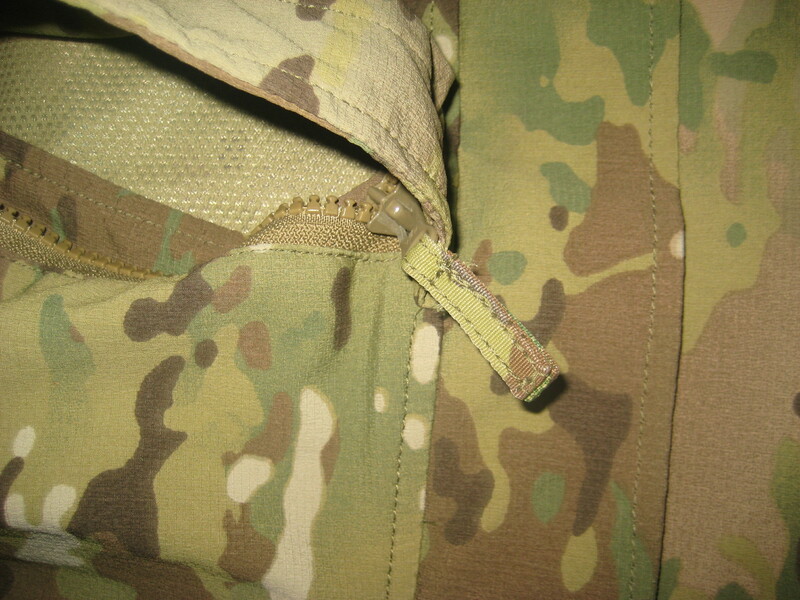 On the chest is a zip secured map pocket. The zip is covered by a velcro secured storm flap, and has a nice beefy pull cord for when gloves are worn. 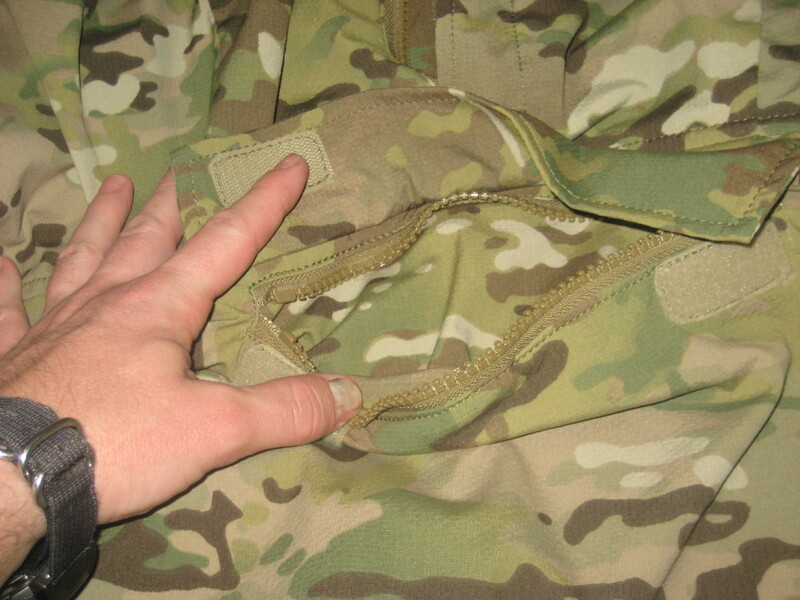 This chest pocket is quite deep, and allows a variety of equipment to be placed into it. I see this pocket being useful for electronic items that need to be kept warm and easily to hand finding a home here. The shoulders of the main body are not raglan cut, meaning that there is a seam across the top of the shoulder. This could mean some discomfort from wearing pack or armour harness for long periods. Since I envisage this garment being worn in static positions, with a minimum of equipment, I don’t see this as a pressing problem. The hood is lined with the same material as the main body, which is nice to avoid giving a flash of high visibility to the surrounding countryside whenever the wearer uses the hood during use. It is quite a small sized hood, not intended to be worn over a combat or climbing helmet, meaning that it’s solely intended to retain heat lost from the head of the wearer. There is a draw-string around the rim of the hood, which is adjusted by anchored cord locks. 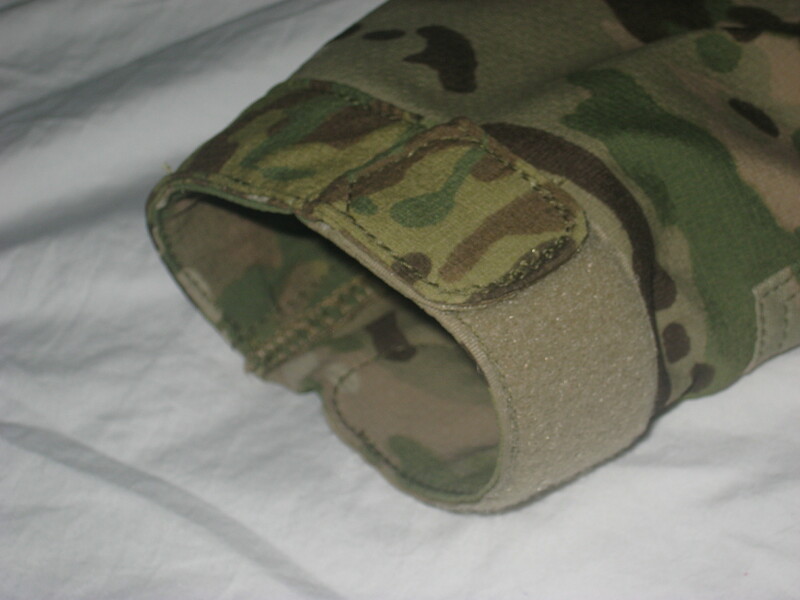 The cuff is adjustable for fit with a velcro tab. 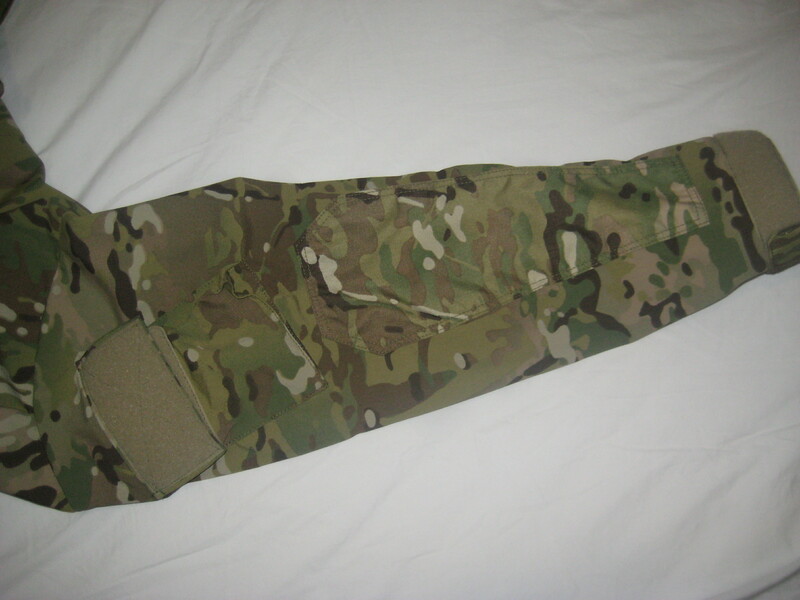 Each elbow has a contoured patch of slightly heavier and abrasion resistant cordura for all those fun activities of living in a military environment, like crawling on the ground and lying on elbows. These elbow patches seem to be very narrow and may not be in the most optimal position. Bicep pockets are fitted. These are approximately four by six inches (12 x 15 cm). 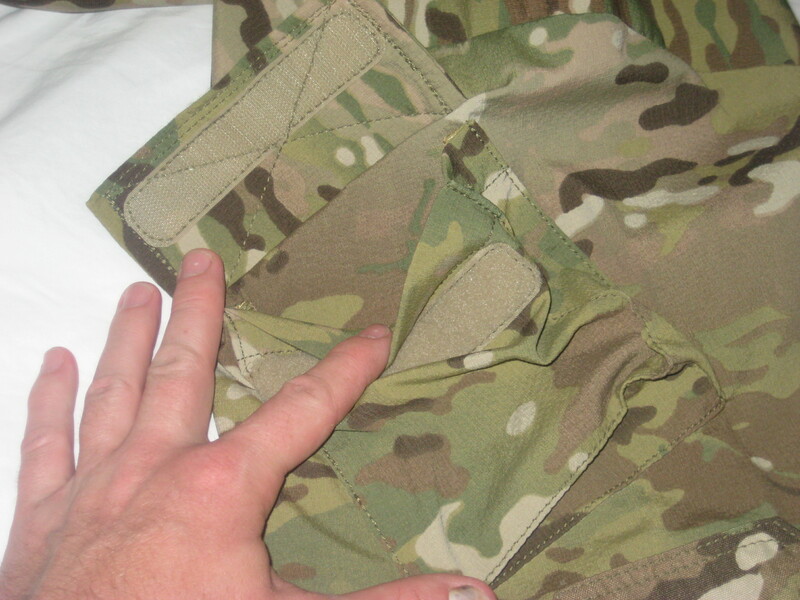 These slightly bellowed bicep pockets are covered by a velcro secured flap. 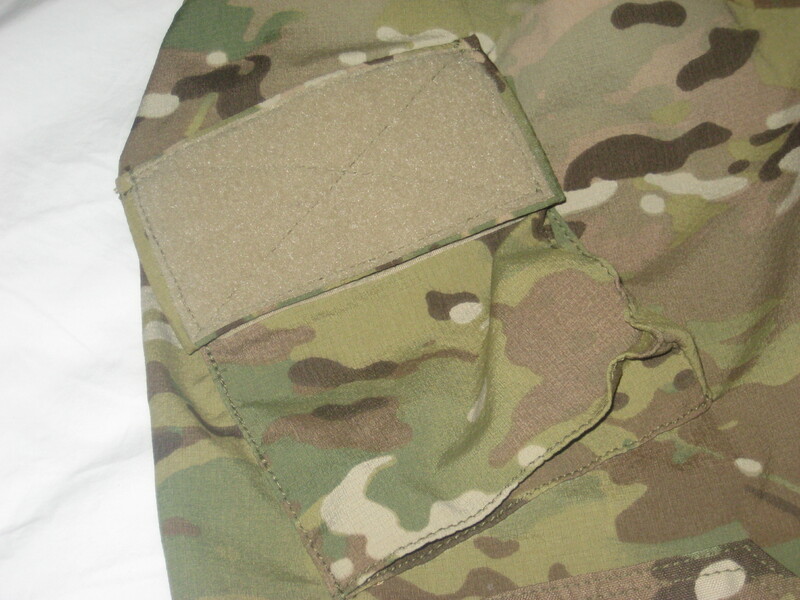 Each pocket flap has a 4 x 2 inch (12 x 6 cm) section of velcro pile for morale, unit and IFF patches. They’re positioned quite nicely for ease if use. I’m not a big fan of anoraks per se, simply because I find the design too restrictive for active wear. But I do like carrying an anorak type garment as a sleep shirt or “night set” of clothing, for when the “day set” of clothing is removed to dry or air out. 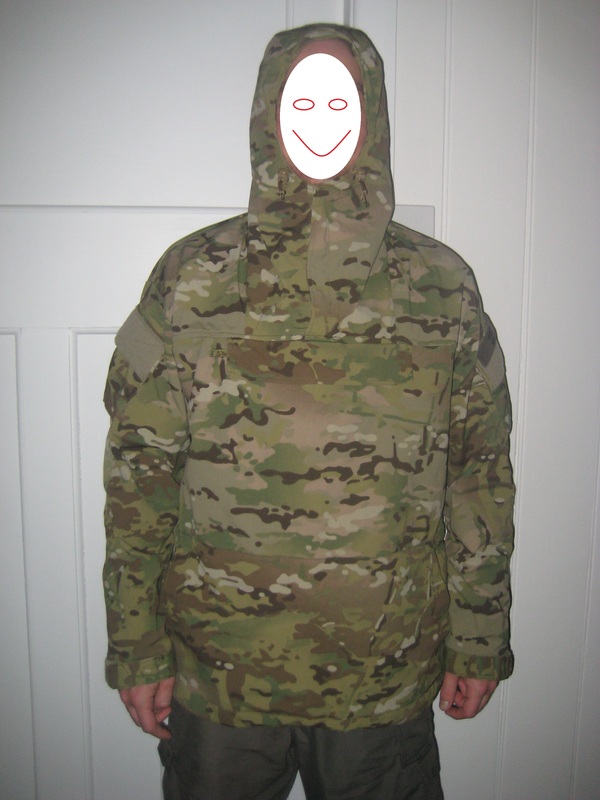 Due to the design, and lacking a real ability to vent out after strenuous activity, I believe this anorak is intended as one of those warming, mid or outer layers to be worn in largely static positions, such as OP’s (Observation Posts), Patrol Bases and other relatively secure areas. Such a use would be ideal for this anorak, since body heat is easily retained, and there isn’t a great deal of strenuous activity intended. 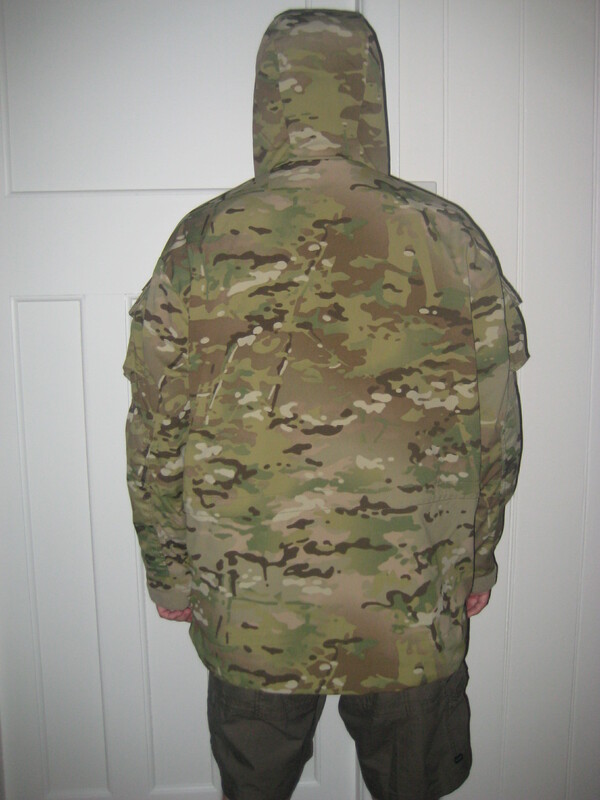 When activity is planned, then the anorak would be taken off and packed away. Unfortunately, due to real life, such as a newborn baby entering my family, moving house and getting a new job, I haven’t been able to fully test this garment out in a field environment. I have managed to achieve a fair simulation of field use for this anorak in my new job. For the last six years working in the coal mining industry in northern Australia, I’ve had the pleasure of avoiding any resemblance of a real winter. This has been most fortuitous for me, since I’m a real cold frog. Since I have changed industries, and moved back to Brisbane, winter has been a somewhat novel and un-nerving season for me to experience again. 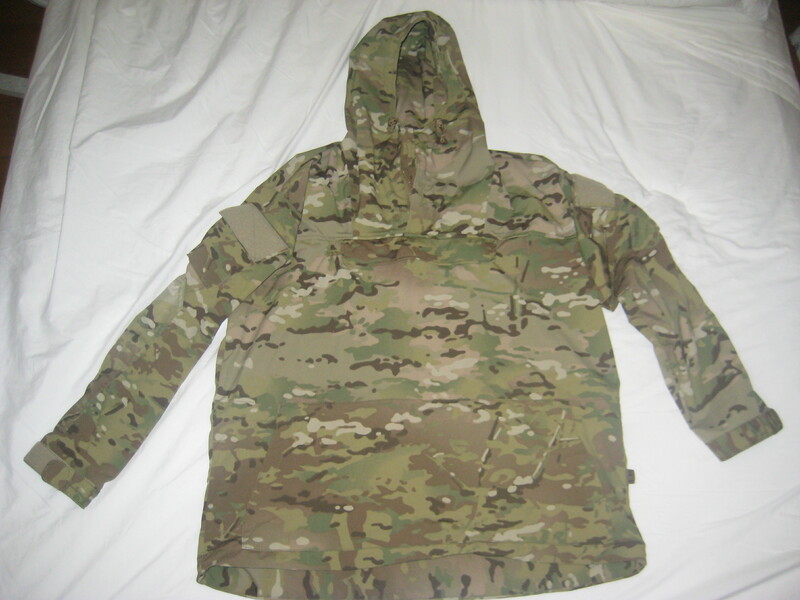 Opportunity recently arose to test this garment under cold, wet and miserable weather conducting typical activities that could be conducted around defensive locations and safe areas. Such tasks as setting up tentage, porterage of equipment from vehicle drop zones to desired installation points, and general walking around on inspections have been conducted. I found myself warm and dry, thanks to the material used. The ability to wick excess moisture away from the body by the material used for the anorak helped negate the cut of the anorak being unable to vent excess heat. Whilst I was warm and dry, and looking quite comfortable much to the chagrin of my workmates, who happened to have suffered that classic problem with non-breathable rainwear: sweat building up inside the jacket making inside as wet as outside. Apparently there was some muttering about taking my fancy jacket off me since I was being entirely too happy. The material used in the construction of this anorak is a high point. This is the result of SORD going to the effort of sourcing high quality textiles from the American market. Whilst of a very simple cut, the Light Field Anorak has some nice design points that shows high attention to detail – which amply demonstrates the maturing design know-how coming out of SORD at this time. Probably the two biggest issues I have with the Light Field Anorak is the sleeve cuffs and the elbow patches. The cuffs seem to be just that little bit too tight when fully undone. This is good for retaining heat, but I found this a problem for actually wearing the garment. 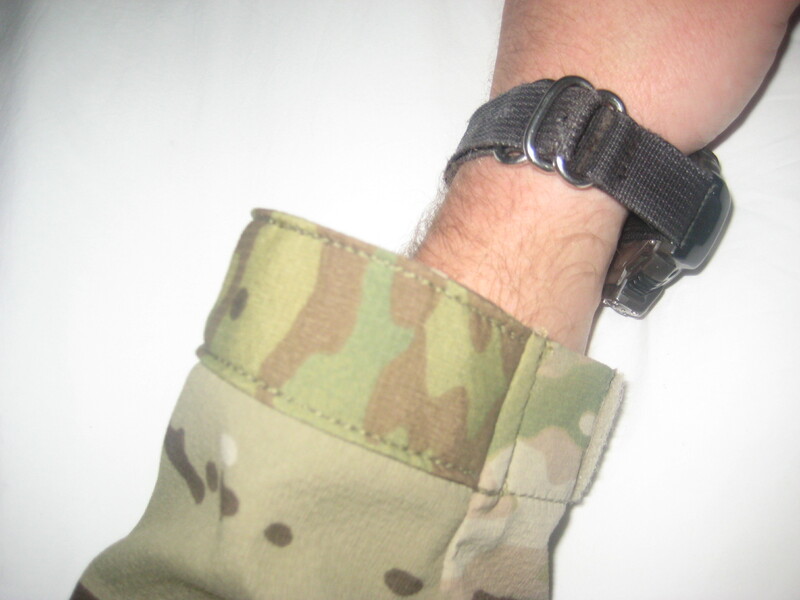 I even had some slight problems with my wrist watch clearing the cuff at times. Since I possess average sized hands, end-users who happen to have hocks of ham for hands could experience some real problems. The elbow patches seem to be either too narrow or badly positioned. If they were twice as wide, or re-positioned, then this would solve the problem quite easily. A very high-end wind-proof and waterproof garment that really does highlight the increasing experience that SORD is developing for such things. Used within it’s limitations and intended usage of in fixed, static locations, this could be a very nice addition to one’s cold weather clothing suite. Posted in Clothing & Footwear, Military, SORD Australia by 22F with no comments yet.